Another strong Dubstep mix to add to the FACT library. 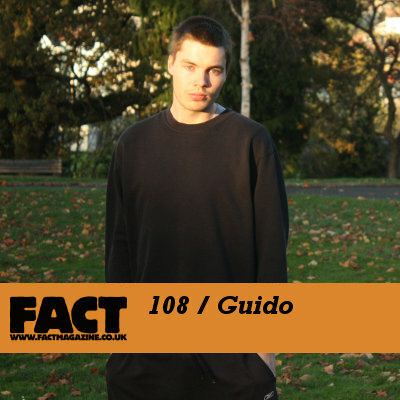 This one comes from Bristol artist, Guido, bringing a different style of deep compared to the last Dubstep mix from Breakage. The mix opens with ‘Beautiful Complication’, Guidos latest single released on Punch Drunk, which has been absolutely smashed on the Dubstep scene by some of the biggest heads in the game. It’s next level, and sets the standard of quality for the rest of the mix (including Mala’s dubplate classic – ‘Alicia’). Once again FACT have pulled out another absolute must download mix. This one is much more about the tune selection though, as the mixing can be pretty hit & miss – don’t say I didn’t warn you!